Baler’s nine feet waves are one of the reasons why tourists keep on visiting the place for some surfing fun. Not only it is perfect for surfing enthusiasts, it is also home to historical sites such as Museum Baler, Doña Aurora Aragon’s House and Ermita Hill. 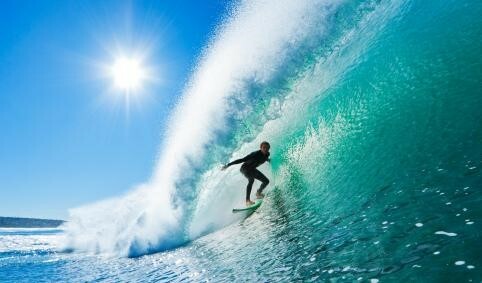 If you want to start surfing, head to Sabang Beach and play with the waves! Don’t fret if you are a beginner! You can avail surfing tutorials from instructors for Php 300 – 500. Accommodations ranges from Php 300 - 2,000. Looking for some surfing fun in the north? San Juan, La Union is the perfect place for you! 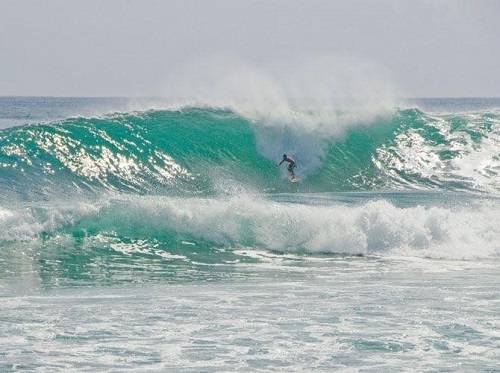 San Juan, La Union is viewed as a paradise for surfers. If you want to make the most out of your La Union trip, visit the place during July to October or November to March as these are considered as the best surfing seasons. Prices for accommodation ranges from Php 300 - 4, 000 while surfing lessons and rentals cost Php 200 per hour. Though Siargao Island is not as famous as Boracay or Palawan, its beaches also boast white powdery sand and natural beautiful reefs. Moreover, it is known as the surfing capital of the Philippines because of its hollow and thick surfing waves called “Cloud 9”. Not only does Siargao give surfers a thrill, you can also avail cheap accommodations and restaurants. Surfing competitions are held annually here as well. Prices for accommodation ranges from Php 450 - 4, 900. Surfing lessons are available for Php 300 per hour and the surfboard rental costs Php 200 per hour. Mother Nature has indeed given our country a great gift by giving us beautiful places that every people from around the world are enchanted to. So let your wanderlust soul roam this picturesque country, give a Philippine travel agency a ring and start your surfing adventure now! Subscribe to our newsletter and get EXCLUSIVE member deals straight to your inbox! How to Apply for Japan Tourist Visa?